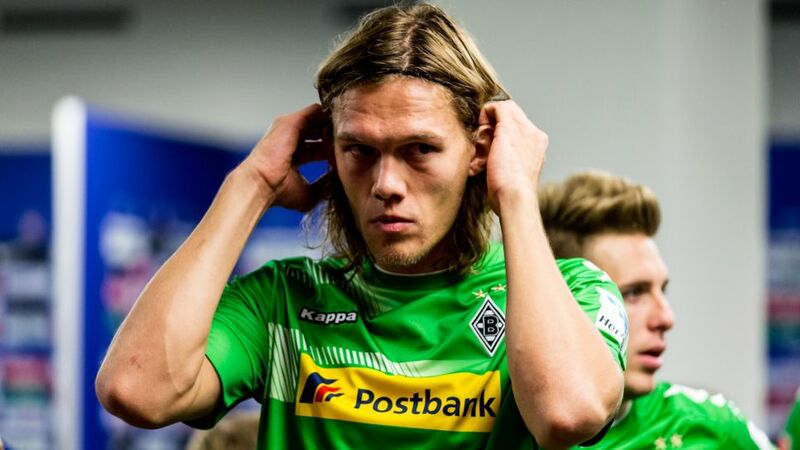 Borussia Mönchengladbach defender Jannik Vestergaard believes his side's resurgent form will be put to the ultimate test by RB Leipzig on Sunday. The Foals are unbeaten in four Bundesliga matches since Dieter Hecking took the reins during the winter break, but go into the Matchday 21 clash some 16 points adrift of the second-placed Red Bulls. Fine-tune your Official Fantasy Bundesliga team throughout the weekend right here! bundesliga.com: Jannik Vestergaard, sometimes in football a change in coach brings immediate results. Jannik Vestergaard: There is that, but it's not just that we're on a roll. We're also doing a lot right and we've been able to implement what the coach asks of us. A lot of it is psychological, though. Before Christmas, we got ourselves in a rut where we no longer believed we could win. Vestergaard: … and now we've got our mojo back! Players that were maybe on the fringes before, suddenly have the opportunity to prove themselves all over again. And the others who played a lot want to keep their place and have to show why they deserve to. There are quite basic psychological reasons as to why there can be such a quick turnaround in fortunes when a new coach comes in. In our case, we had the benefit of an entire winter break with the new coach to prepare and work on things he wanted to see from us. bundesliga.com: After such a strong start to the second half of the season, some fans are dreaming of a place in Europe again. Is that on the agenda? Vestergaard: I don't think so. Although there's no denying we've played well since the winter break, it's not like we outplayed the opposition. Leverkusen, Freiburg, Bremen – they were all tight games. That's why I don't think we should really be thinking about Europe, especially after such an average season. It might sound pretty boring, but we should be taking things one game at a time. There are a lot of games ahead of us. We're still in three competitions. bundesliga.com: You've only been at Gladbach for half a year. How at home do you feel – on and off the pitch? Vestergaard: The fact I'd already been in Germany a good while made the move a lot easier. I'm from the city centre of Copenhagen and like to be around a lot of people – even if I don't know them. You get that in a city like Düsseldorf, for example, where a lot is going on. I feel very happy in Germany, in Mönchengladbach and in Düsseldorf. And the fact some of my family on my mother's side live in Krefeld makes things even easier and creates a real sense of home. bundesliga.com: Next up, you've got Leipzig – one of the strongest sides of the season so far. Have they surprised you? Vestergaard: I think anyone who says they're not surprised by the exceptional performances of Leipzig isn't telling the truth. Whatever happens this season, RB have already done something very special. Leipzig are hugely ambitious, but I think they're keeping emotions in check behind the scenes. bundesliga.com: Are you in touch with your fellow countryman Yussuf Poulsen? Vestergaard: Obviously we chat about things now and again. I also know Dominik Kaiser from our time at Hoffenheim together, and Davie Selke, whom I played with at Bremen. I know how they tick there and I'm not that surprised by their playing style. When you see them play, you know what's coming. They do it so well, though, that it's incredibly difficult to find a way against them. They play with high intensity and a lot of aggression and are always looking for their quick players when they win the ball back. I think it's going to be a really tight game.